You are the best my friend and because of that fact, it’s also true – your skin deserves only the best. Do you have a natural skin care routine to match your awesomeness? Have you recently converted to natural skin care? Are you wondering whether it’s any good? Is it living up to your expectations? Are you wondering whether you’re using the best natural skin care routine or whether it can be improved? Are you confused as to which skin care is natural and which skin care is only a bit natural? I’ve got your back. 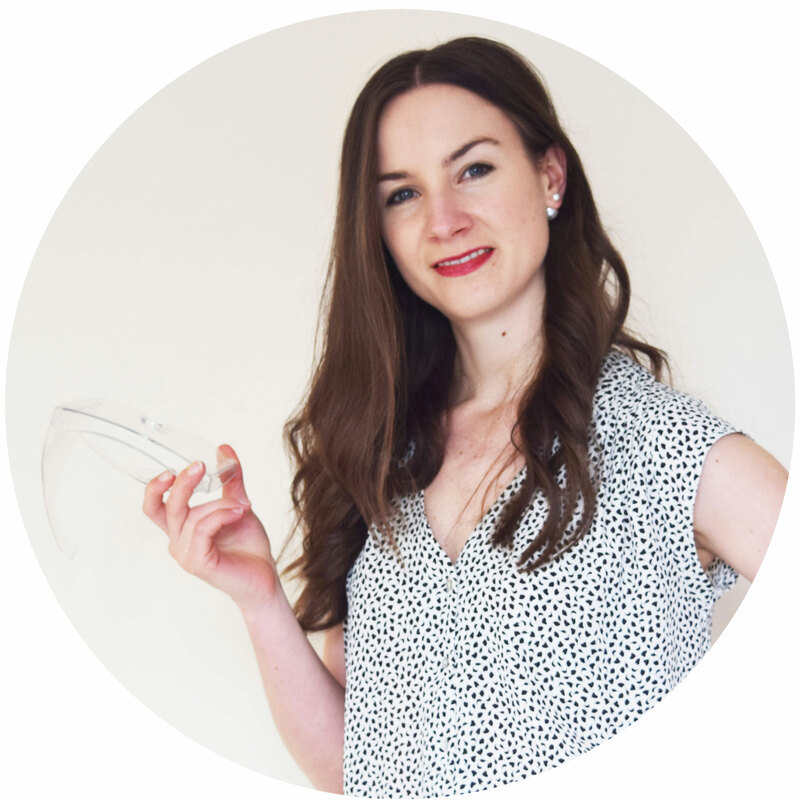 I’ve had all of these questions and more from fellow Honesty readers and because of these questions, today, I have an epic blog post and an even more epic (and free!) 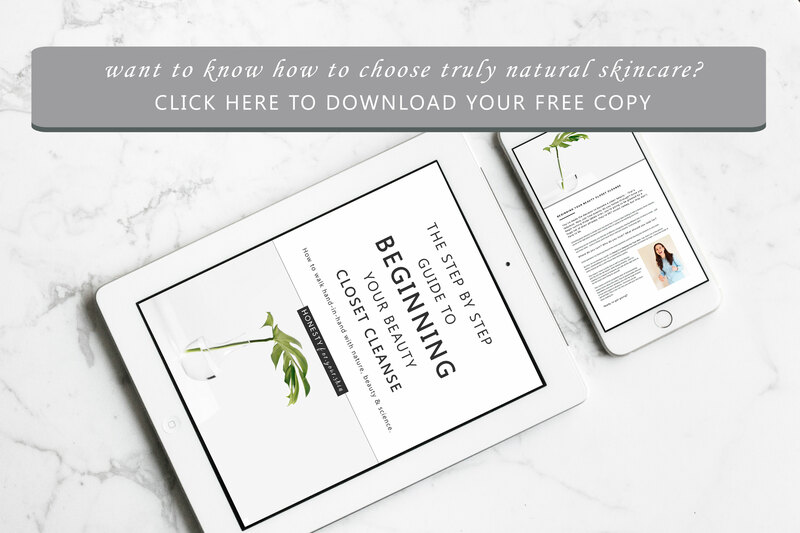 downloadable guide to help you do good by your skin. Apple juice is level 1 of our natural skin care pyramid and it sits at the very top. Apple juice is an ingredient sourced directly from mother nature. You pick that apple, you press that apple and taa-daa! You just made apple juice. Apple pie is level 2. Apple pie has taken natural ingredients and cooked them a bit – making something even more spectacular. There’s chemistry happening here. Chemistry that’s cooked the apples with heat. Chemistry that’s made pastry from flour, butter and water and chemistry that’s browned your egg-white brushed lattice pastry top. Apple flavouring is level 3. Now before you decide on this level let me explain a little more. Apple flavouring is the women-made identical of the ingredients in natural apple juice – the ones which give it that tangy apple taste. Apple flavouring hasn’t been made from a natural apple, it’s been made in the lab, but put each of these ingredients under a microscope and it’d be very hard (and most of the time impossible) to tell the difference. My friend there is no wrong or right answer here. This decision is personal and the more you learn about skincare ingredients and designing a natural skin care routine, the more you’ll feel comfortable to make an informed decision. 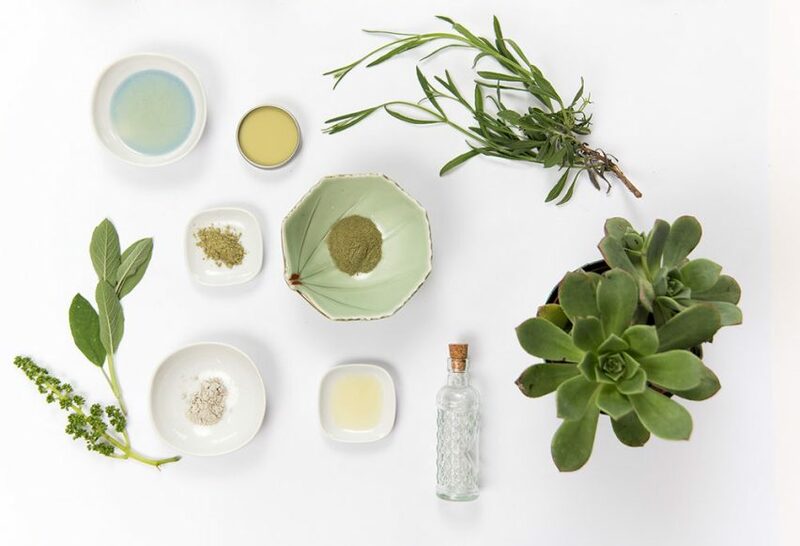 While you have 3 levels of natural skincare to choose from, there are definitely some skincare ingredients you’ll want to avoid. These ingredients are non-nature identical and also usually non-skin identical. Which is an important thing to consider, imagine trying to put a square through a triangle-shaped hole (do you remember those childhood games? )… it’s just not fitting. However much you push, pull or squeeze a square just doesn’t fit into a triangle-shaped hole. This is the concept of skin identical and non-skin identical ingredients. Skincare ingredients like Vitamin E exist in nature and exist within your skin already. Topping up your skin resources of vitamin E is a great idea. Your skin already knows how to use vitamin E, it already has a supply and it already has a process/receptors ready for it. Treating you skin naturally generally also means using many more skin-identical ingredients. Some of these ‘avoid list’ non-natural skincare ingredients have safety concerns, others have little to no benefit for your skin and some can provide temporary solutions that don’t get to the root cause of your skin concerns e.g. dryness. BHA is a man-made antioxidant. It’s long name is butylated hydroxyanisole and if you want a natural skin care routine, you’ll want to make sure your skincare ingredients lists are BHA free. However if you see BHA used on the front of a skincare product, like here, then this abbreviation actually stands for beta-hydroxyl acid. This might at first feel confusing, but know that if you see BHA on the ingredients list, it will only ever mean butylated hydroxyanisole, whereas see BHA on the front of your skincare and it will almost never mean butylated hydroxyanisole. BHA helps stop products from going-off. However natural vitamin E can also do the very same thing. BHA has been shown in animal studies to cause cancer, however this is at doses much higher than you’d find in your skincare. Even so, if you want to cleanse your beauty closet, you’ll want to steer clear of products containing BHA. BHT is another man-made antioxidant and as the name might hint, it’s also related to BHA. BHT is short for butylated hydroxytoluene. It’s safety concerns are very similar to BHA, it can cause cancer in high doses (however doses in skincare are much, much, much lower) and there’s rumour around it being a hormone disruptor. Want an example of a product containing BHT? A product you might at first glance think is natural, then click here – this is an example of greenwashing. Mineral oil is a man-made ingredient which is made from the left overs of reactions the fuel industry use to make petrol and diesel. Not very fancy ‘eh. When designing your natural skin care routine, you’ll want to avoid the ingredient name Paraffinum Liquidum. Why? Well there’s a few reasons and they start, with you guessed it… mineral oil is not naturally available. Mineral oil is called an occlusive skincare ingredient which means it makes a film ontop of your skin helping to prevent skin from loosing hydration. While it does this, there are concerns the film may upset something called your skin’s calcium gradient (involved in natural exfoliation and other normal skin reactions) and therefore make dry skin worse in the long run. There’s also contamination concerns, petrol and diesel have many ingredients that are known to cause cancer, so when mineral oil is made, there’s concerns that similar cancer causing ingredients are left in as contaminants i.e. they won’t be labelled on your skincare as they weren’t purposefully added. While this sounds scary, if you’ve been using mineral oil containing skincare, do not panic. The mineral oil used in skincare is ‘cosmetic grade’ meaning there are limits on the level of contaminants mineral oil can contain. We are talking parts per million which is extremely, extremely tiny and of the tests done to date, independent regulators have concluded these levels are safe. Even so, if you want to take an extra catious approach (and design a natural skincare routine!) avoid mineral oil. Silicones are also man-made ingredients and work very similarly to mineral oil. Where silicones level up is in their… wait for it… slip. Silicones are very slipy molecules. Think of silicones like a ball pit. There’s lots of tiny spherical molecules all slipping over each other very easily. That means when silicones are applied to skin, they make skin feel smooth as a baby’s bottom. 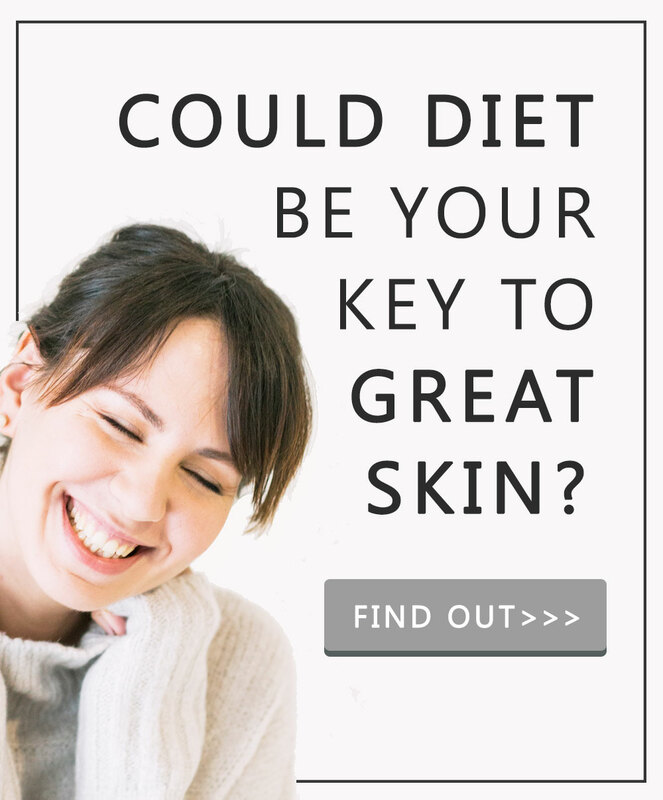 Only thing is, the effect is temporary, they’re not actually improving the health of your skin. The smoothness lasts for as long as the skincare product stays on your skin. You’ll find these guys on an ingredients list under names like dimethicone, cyclomethicone, cyclopentasiloxane. Greenwashed what ‘eh? Greenwashing my friend is a pretty new concept. 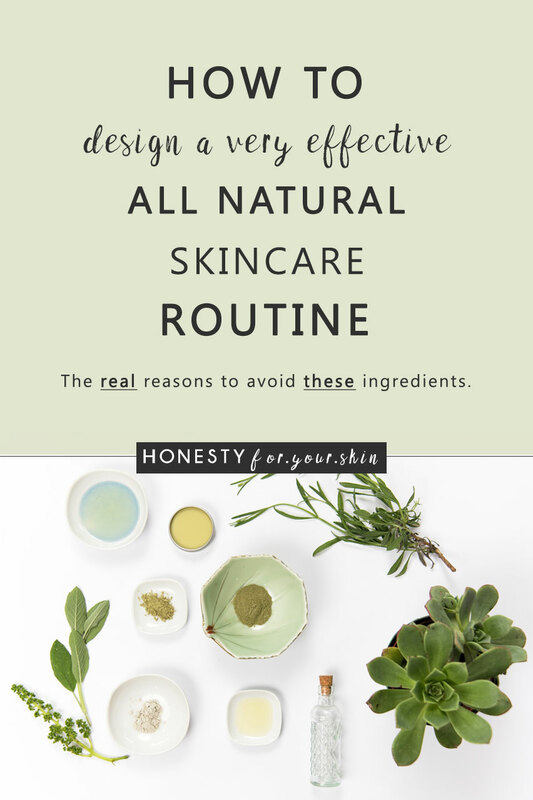 It’s recently taken center stage because skincare companies know that you lovelies have been leaning towards wanting to design a natural skin care routine… and they too wanted to jump on the band wagon. What it means is that products containing ingredients like mineral oil… i.e. ingredients that aren’t natural, can begin to look like all natural products. Well imagine a packet of yummy for your bod, healthy walnuts. Got it? Great. Now imagine a peanut flavoured packet of Oreos (okay, okay, they’re just as yummy #softspot). When you see either of these 2, you know exactly what you’re getting, the packet says it all. Neither is pretending to be something it isn’t. Now imagine if that packet of Oreos had the label of your packet of walnuts. See where this is heading? Now it’s confusing. Now the packet of Oreos looks like a health food. This my friend, is greenwashing. Only thing is, it’s much, much harder to tell a greenwashed skincare product from a greenwashed food, because all creams and lotions look cream and lotion like… and because all skincare ingredients list have hard to understand non-English names. Make sure to download your free copy of my step by step beauty closet cleanse to help you avoid walnut labelled Oreos. Now we’ve chatted through some of the decisions you’ll make on your journey to designing a natural skin care routine. Your head may be taking some well deserved time to absorb all of this information. That is oh so normal, promise. It will probably take you a few times reading to fully get your handle on what this means for you and how it all fits together. I mean, the perfect natural skin care routine cannot be designed in a day ‘eh.